We are now accepting applications for new members for our Junior Cork Youth Orchestra (JCYO) & the String Orchestras (CJRO). Please note that there are no open auditions for CYO this year. 'Fan Liom' features one of its current members. 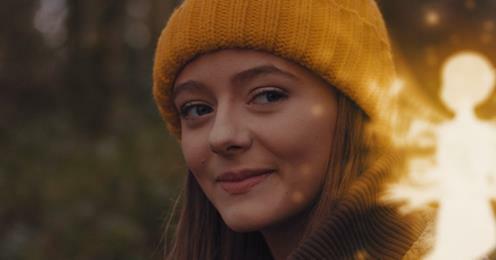 The music video will be screened at the CYO's concerts on December 8th in City Hall, Cork. It is dedicated to Marymount Hospice.. 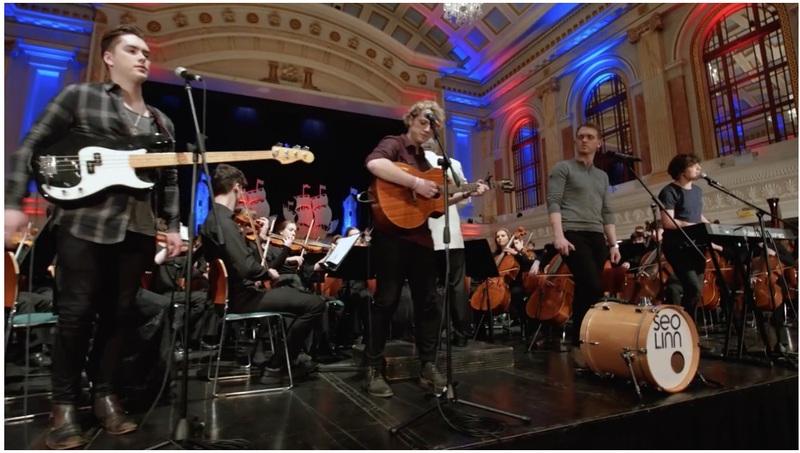 Following on from their recent performance at the National Concert Hall, Dublin, the Cork Youth Orchestra will conclude their 2018-2019 season with a Gala Concert on Saturday the 11th of May 2019 with special guests, the internationally acclaimed group, ALTAN. We are really looking forward to working with Altan, and bringing to Cork the best of Traditional Irish Music and Song with the backing of a 120 piece orchestra under conductor Tomás McCarthy. The orchestra will also be joined by guests The Lee Singers, conductor Ann Healy Mayes. It promises to be a night to remember. 2018 marks the 40th anniversary of The Snowman. Published in 1978, The Snowman, created and illustrated by Raymond Briggs has become one of the world’s most popular children’s books selling in excess of 8.5 million copies worldwide and being translated into over 15 languages. This well-loved book was adapted for screen by producer John Coates, leading to the Oscar nominated animation with iconic score which first aired in 1982 and has been broadcast on a global scale including Asia, Europe and North America. 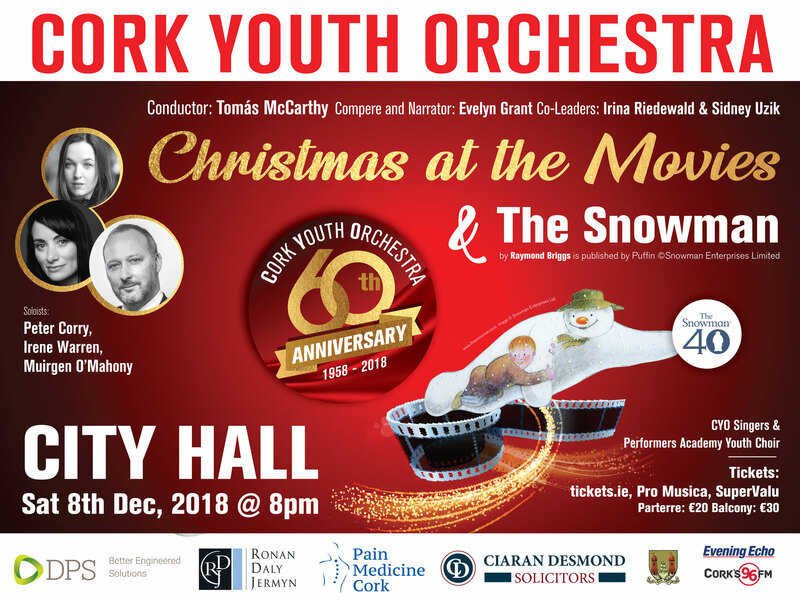 2018 marks the 60th anniversary of the Cork Youth Orchestra. There have been so many amazing milestones in the orchestras history. Founded in 1958 the Cork Youth Orchestra was the first Youth Orchestra to be established in Ireland. With over 120 members the CYO is Ireland’s largest youth orchestra. 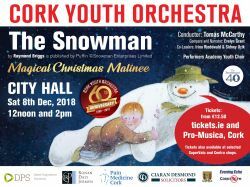 The annual Snowman matinee concerts with the Cork Youth Orchestra features unique music/art collaborations with the live drawings of animation artist, Seán O’Brien. We will be joined onstage by the Performance Academy Youth Choir. The narrator is Evelyn Grant and the orchestra is conducted by Tomás McCarthy. The Orchestra has represented Ireland four times at the FOG Festival of Youth orchestras in Montecatini, Perugia, Florence, Lucca, Arrezo and San Gemignano, Italy. CYO have also performed in Wales, Scotland and the Czech Republic. Family Concert at 2pm on 28th April, 2018. 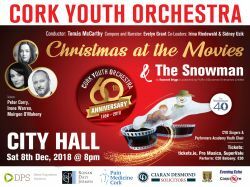 Cork Youth Orchestra was founded in 1958 and celebrates 60 years in April. There have been many memorable milestones too numerous to mention here. CYO is Irelands' first and largest youth orchestra. 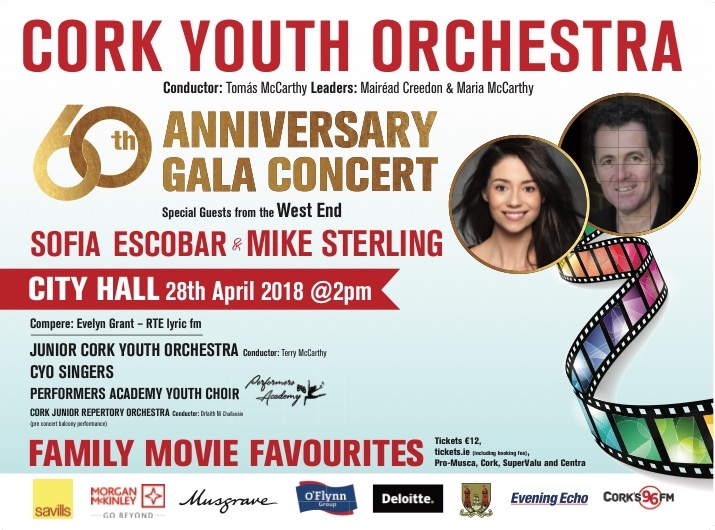 This special 60th Anniversary Matinee 2.00pm concert features The Cork Youth Orchestra, the Junior Cork Youth Orchestra, Westend soloists Sofia Escobar and Mike Sterling joined by the CYO Singers and the Performers Academy Youth Choir. The theme will be "Family Favourites From The Movies." The compere is Evelyn Grant from RTE lyricfm and the orchestra is conducted by Tomás McCarthy. Upcoming Concerts - Save the date! 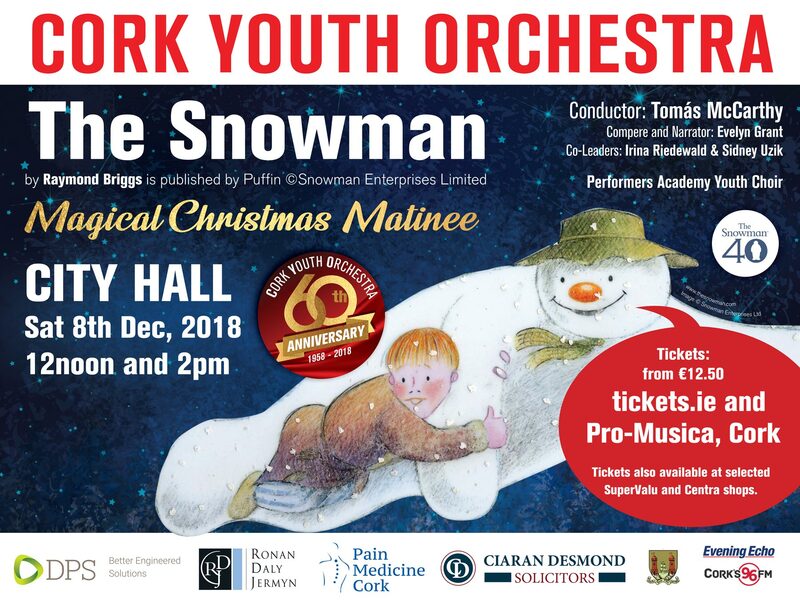 On Saturday, 28th April a gala concert will take place in the Cork City Hall featuring The Cork Youth Orchestra (CYO), the Junior Cork Youth Orchestra (JCYO), the Cork Junior Repertory Orchestra (CJRO), and a special orchestra assembled consisting of former Cork Youth Orchestra members. If you have any photographs of the orchestra in former years, get in touch and share the memories!